Moschino designer Jeremy Scott was minding his own freaking business at the premiere for “The People’s Designer,” a documentary about his amazing journey to the upper echelons of the fashion world and his friendship with Rita Ora, when some total nobody served him with legal papers! HIDEOUS! APPALLING! LITERALLY CRAZY! WHO COULD HAVE ANTICIPATED! Scott is being sued by graffiti artist Joseph Tierney, AKA Rime, who claims that the dress Katy Perry wore to the Met Gala bears a significant resemblance to his work. The lawsuit was originally announced in early August, but service can take a while to reach the defendant. 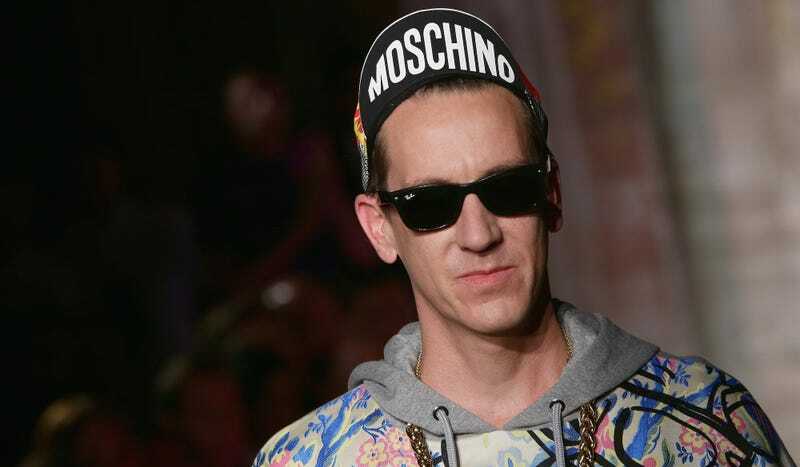 As we’ve previously reported, this is not Jeremy Scott’s first dalliance with copyright issues—he was also sued by Santa Cruz Skateboards for stealing artwork for his fall 2013 collection; the case was settled out of court.